The desktop environment is the core of toBrain.NET. We believe that visualisation is an important factor when developing systems. Because the application’s goal is to help the users to develop quickly and efficiently, all the relevant and helpful information should be clearly and easily available. toBrain().net environment puts everything the user needs at their fingertips. This makes it easy to keep the overview of what you are working on. Introducing new and up-to-date technologies is necessary in any software environnment. toBrain().net simplifies the tasks involved and makes the transition as transparent as possible. In order to help the user to be as efficient as possible a number of support systems have been set up. On the one hand, these facilitate the development and on the other hand enable users with little programming knowledge to develop solid applications. For instance, Intelli-Prompt is available for all the property entries. There is no need to remember lists of classes or complicated syntax. The application does the work and presents the available alternatives. Similarly you will also find Intelli-Prompt when dealing with SQL syntax. This is especially important when different databases need to be addressed in the same application. The users of toBrain.NET no longer need to keep track of the correct formulation for the various functions, toBrain.NET does the work. During development and faced with unknown Activities the user is not left alone. When properties are missing, even before the first run, the toBrain.NET will show you what is missing, why and more importantly where. Running a workflow which contains errors is not possible, therefore one of the principal causes of run-time errors is eliminated from the start. 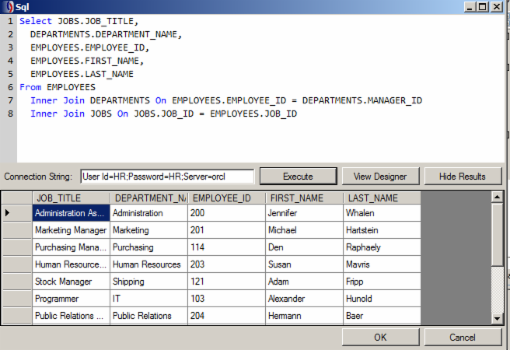 Managing data is more transparent with the availability of a user-friendly SQL editor. 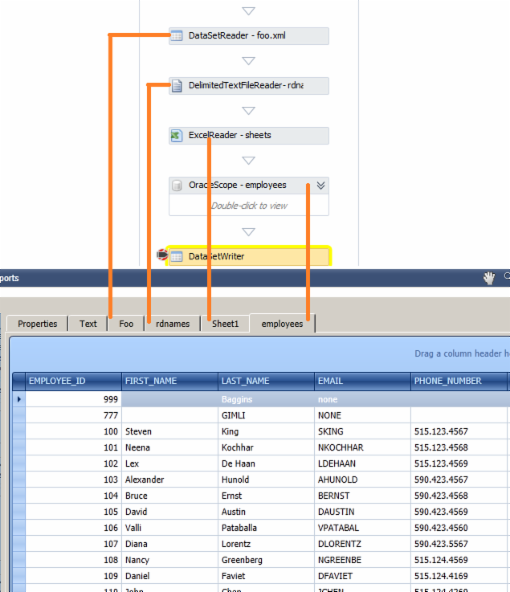 Using the connection string given in the scope, the application displays the metadata which is available in the context. In this way all the tables in the schema-objects are displayed and the user can use drag and drop to choose the relevant elements and relations. 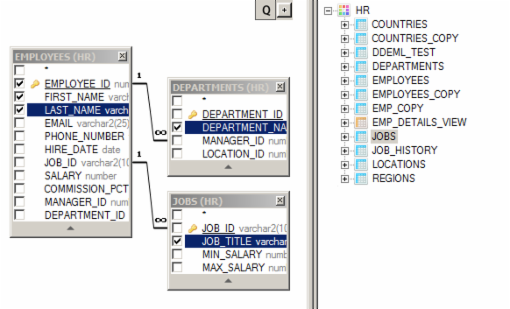 The system then produces the corresponding SQL using the relevant Database syntax. This considerably reduces typing time and errors.